When we talk about the Kalamera brand, first three notable features come to mind: versatility, quiet, and temperature memory function. Yes, it always remembers the set temperature after a power outage. Flexibility – most of the Kalamera doors are reversible and have front-venting – giving you more options in installation configuration. Most of their models feature wooden shelves – many have the beautiful and durable beech wood. Kalamera is known for premium quality products and excellent customer service. Kalamera provides customer service support from El Monte, California. The models in this series have either double-layer or triple-layer glass doors. Most of these built-in units can also be installed as freestanding units. Most models in this series are single-zone; the 24-inch wide unit is a dual-zone. Compressor-based cooling system used in this series. Counter-top are smaller units. They are typically lighter and are freestanding. Single-zone is primarily used in this series. 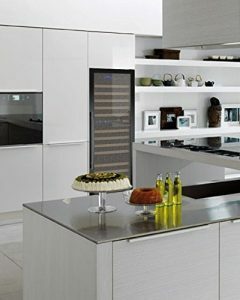 The beverage refrigerators in this series are great for under-counter built-in, or freestanding installations. 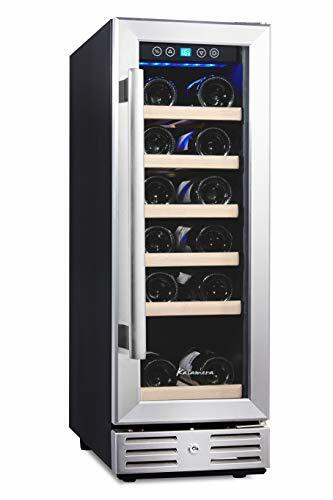 Our top-rated Kalamera wine cooler list is sorted by capacities and width to help you finding the right under-counter or free-standing wine coolers. Read our review for Kalamera 12 inch-wide 18-bottle wine cooler. 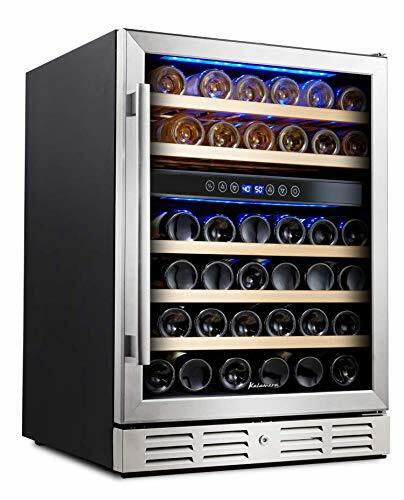 Read our review for Kalamera 15-inch-wide 30-bottle wine cooler. 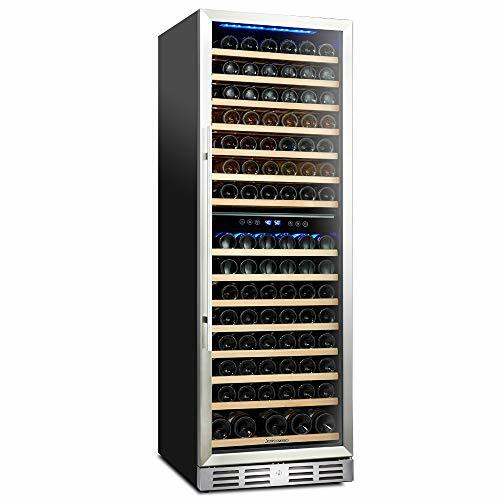 Read our review for Kalamera 24-inch-wide 46-bottle wine cooler. 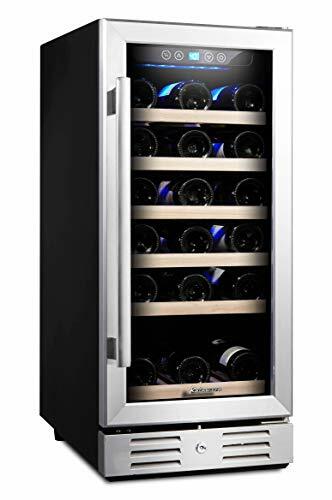 Read our review for Kalamera 157-bottle wine cooler. Kalamera is a premium wine cooler brand. They are well-made appliances with thoughtful-designed functionalities. Quality – Kalamera offers double-layer and triple-layer tempered glass doors in many of their models. Special feature – temperature memory function in most models. It is such a thoughtful feature – knowing that your cooler will always set itself back to your set temperature after a black out. Versatility – many of the Kalamera models have reversible doors . You have the option to open the door to the left or the right (by moving the hinge from one side to another). Options – many of the Kalamera models have front venting and security locks – you can install their built-in as free-standing units. Low noise and low vibration – Kalamera units are exceptionally quiet for compressor-based cooling system. Almost all Kalamera wines coolers have beech-wood shelving. If you like lighter-tone wooden shelves, consider this brand. Most of Kalamera units are single zones, fewer models with dual zones. The advantage of single-zone is the consistency of maintaining just one zone. Most of Kalamera wine coolers are compressor-based cooling. You get consistent colder temperature for compressor-based units. It is not affected by the exterior ambient temperatures.